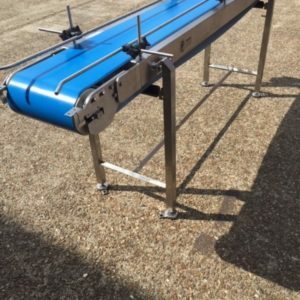 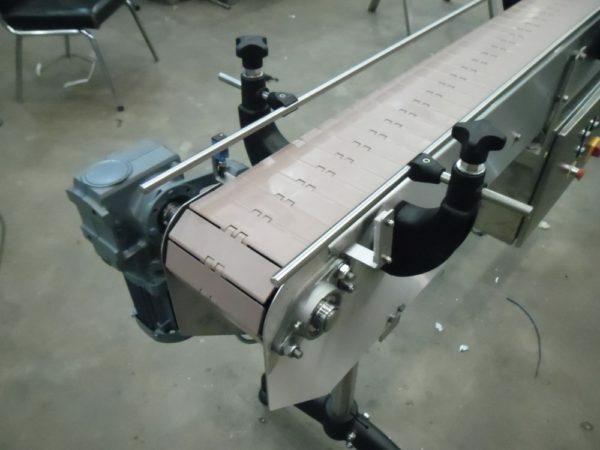 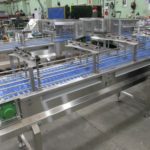 Slat chain conveyors are an ideal solution for the transfer of packaged goods over long distances where frequent direction changes are required. 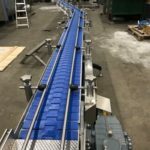 Sometimes referred to as plastic chain conveyors, they provide low noise safe conveying of product besides being extremely strong and of robust construction, which give these conveyors long-lasting reliable construction. 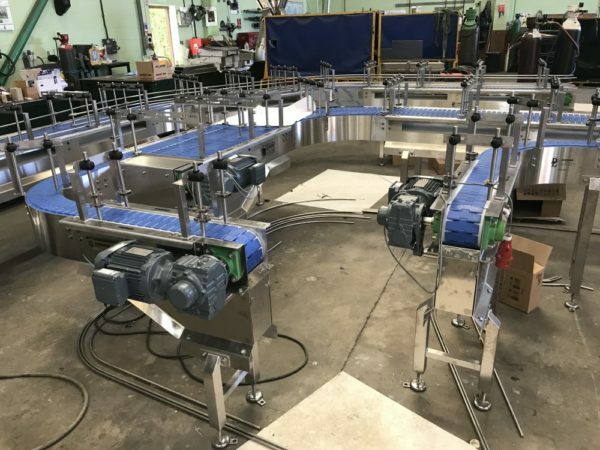 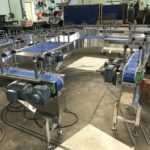 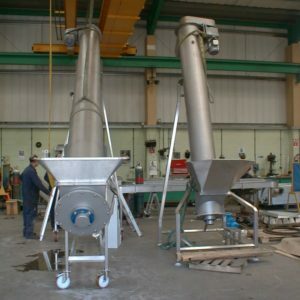 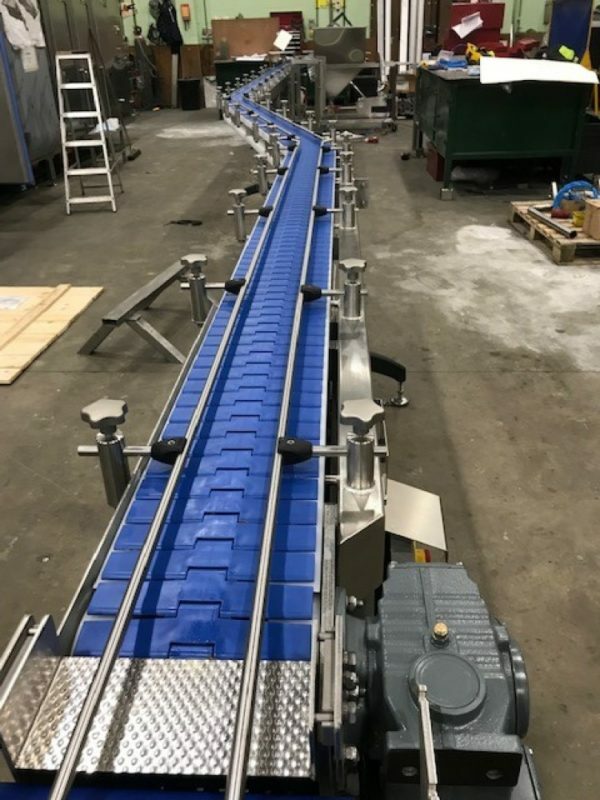 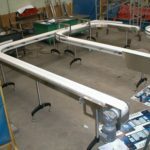 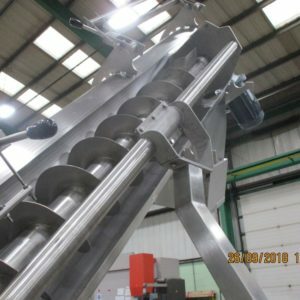 The slat band conveyors are able to transfer product around tight radius bends using a single drive and they can be supplied in various widths, are ideal for accumulation applications, but can equally transport heavy duty products. 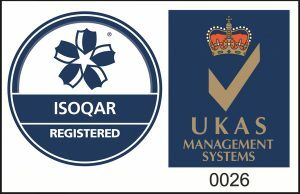 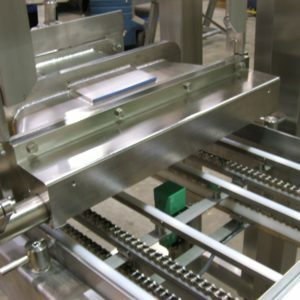 Because of the low friction, sprocket drive and smooth surface of slat conveyors, they are ideally suited for use in the labelling and packaging industry. 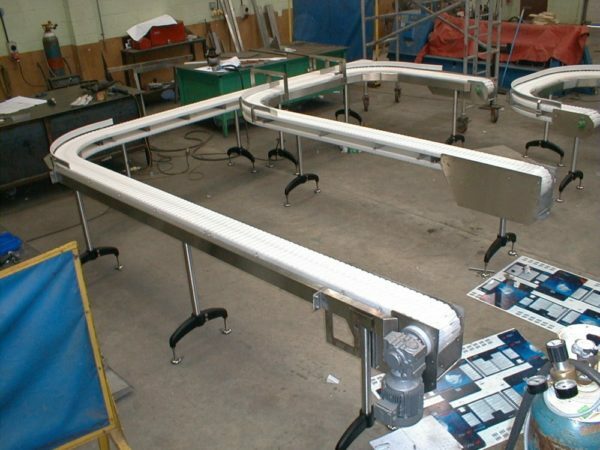 Side flexing chains are available in widths up to 400mm. 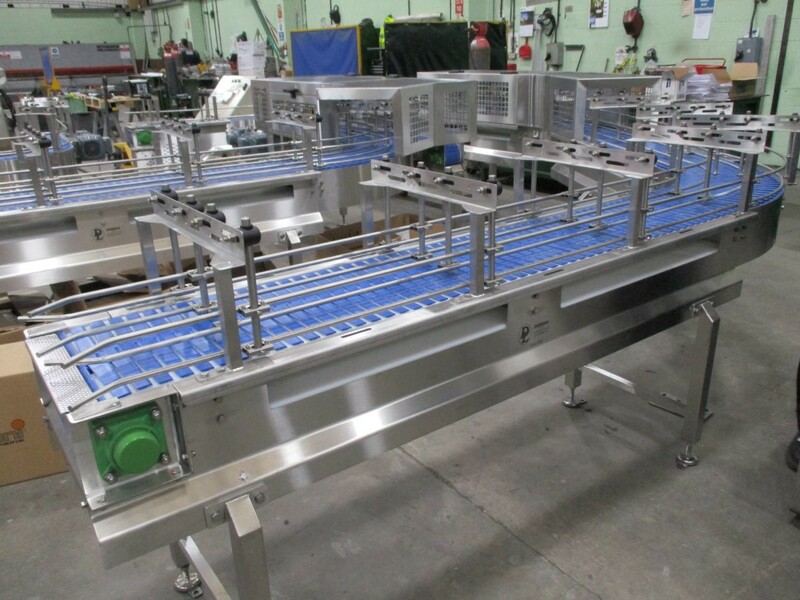 Standard flat top chains allow for limited accumulation of finished goods with options for roller top links to minimise accumulation pressure in sensitive products. 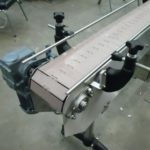 Sprocket drive with a shaft mounted gearmotor makes for positive chain drive.